As a regional centre, Clarenville has amenities and services comparable to any large town with real growth potential. The town boasts a vibrant, growing and diversified business community, focused on retail and trade, services, health, construction and manufacturing. The province of Newfoundland and Labrador is experiencing much economic growth and the Town of Clarenville is no different! Strong growth was recorded in the province’s employment and GDP; directly contributable to significant capital investment in the province. Major contributors include the development of Vale’s nickel processing plant in Long Harbour and the development of various oil projects, namely, Hebron and the expansions of the White Rose and Hibernia projects. Clarenville’s proximity to these developments has contributed to growth in the local economy and an increase in high-paid employment opportunities for its residents. The economic forecast for the Town of Clarenville is promising; increasing private and public investment in the town has resulted in growth in residential construction and development, expansion of commercial operations and a healthy rate of employment. Clarenville has the infrastructure and facilities to accommodate further growth in its residential and commercial population. Town planning has kept pace with current demands, as well as future needs of the population, providing services and utilities necessary to facilitate and sustain economic growth. An outstanding place to do business, Clarenville offers its business community convenience of location, accessibility to a diverse labour force and the benefits of quality infrastructure and support services. 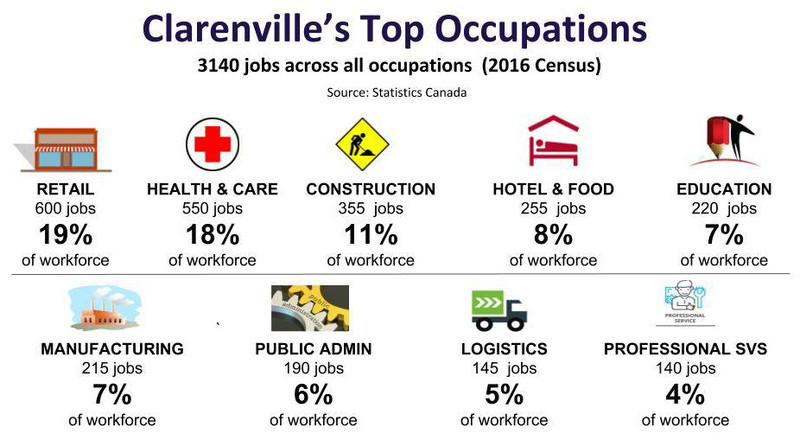 Current firms, as well as those that are new and expanding, will enjoy the many benefits to doing business in the well established Town of Clarenville! We have real business potential. 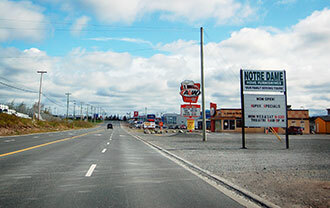 The Town sits on the Trans Canada Highway, interconnected to every major centre in the province through the highway network. Shipping by air made easy – two international airports (Gander International Airport and St. John’s International Airport) are in close proximity to Clarenville, both within a two hour drive. 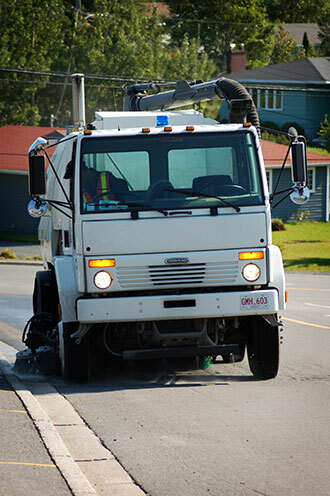 A population of about 35,000 is serviced by private business and public sector organizations located in the Town of Clarenville. Conveniently situated between three major peninsulas (the Avalon, Burin, and Bonavista), and in close proximity to Central Newfoundland, Clarenville has 70% of the province’s population within its reach. Clarenville has a competitive commercial tax structure. The Council has taken steps to ensure that the new business development process is streamlined, for example, by applying red tape reduction measures. The Town has room for growth! Commercial land within town boundaries is available for development. 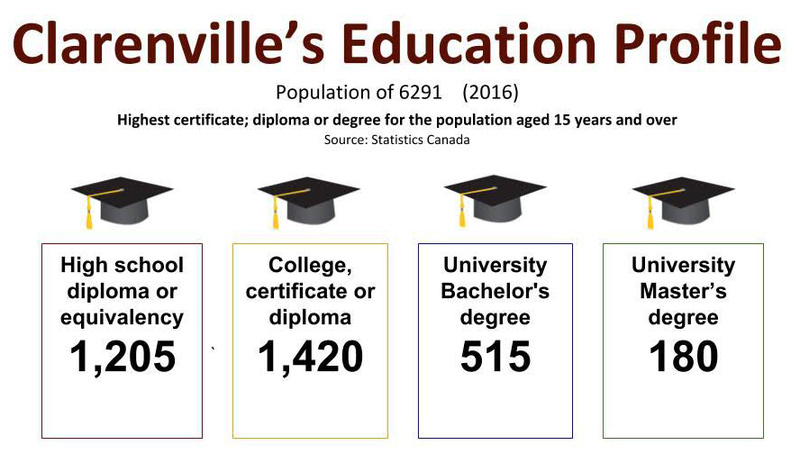 Clarenville has a diverse labour pool on which to draw; the CMA population is approximately 35,000. Residents from surrounding communities commute to Clarenville for work. Residents have higher than provincial average formal education levels. The labour force participation rate for both men and women is above the provincial average and is among the highest in Newfoundland and Labrador.